The four basic fibers used in carpets today all have their individual strengths. Your ultimate choice will be determined by the characteristics that are most important to you. Nylon is more expensive than other synthetic carpet fibers and has been the most commonly used carpet fiber since the early 1960s. In overall performance characteristics, nylon is the most versatile of all fibers, providing excellent flexibility in creating a variety of carpet styles. Nylon can be found in a wide range of both cut pile and loop pile styles. It is durable, resilient, and receptive to dyeing for color versatility and uniformity; many new nylon yarn systems are also exceptionally soft. Though not inherently stain resistant, most nylon carpets are treated with stain-resist carpet treatment for protection against household spills and stains. Since 1980, the use of polypropylene carpet fibers has grown dramatically. Unlike the other fiber types, polypropylene will not absorb water and must therefore be solution dyed (pigmented) to impart color. Solution dyeing is a pigmentation process in which color is actually built into the fiber when it is formed, or extruded, thereby becoming an inherent part that cannot be removed from the fiber. The color will not fade, even when exposed to intense sunlight, bleaches, atmospheric contaminants, or other harsh chemicals or elements. However, since it is not as resilient as other fibers, polypropylene is normally used in loop pile constructions in which there is less need for superior resiliency. Polyester offers exceptional softness and color clarity, and it is also naturally stain and fade resistant. While polyester is not as inherently resilient as nylon, carpets made of polyester fiber will perform well if appropriately constructed. Carpets of polyester are generally available only in cut pile styles and are usually less expensive than nylon in comparable weights. The preeminent natural fiber and used in the manufacture of carpets and rugs longer than any other fiber. In fact, the weaving of wool carpets has been traced back to 3,000 B.C., and wool rugs and carpets have been prized as objects of beauty and prestige ever since. Wool does not have the stain and abrasion resistance of some of the man-made fibers, but it has an enduring quality, and many wool carpets and rugs are said to “age gracefully.” Soft underfoot, wool also offers the somewhat intangible consideration of prestige. However, wool carpets are considerably more expensive than most synthetic carpets and represent less than 1 percent of all broadloom carpets sold. A number of carpet styles utilize a fiber blend, such as nylon and polypropylene. The blending of fiber types to form the carpet yarn is designed to combine the beneficial characteristics of each fiber, such as the resiliency of nylon and fade resistance of polypropylene. 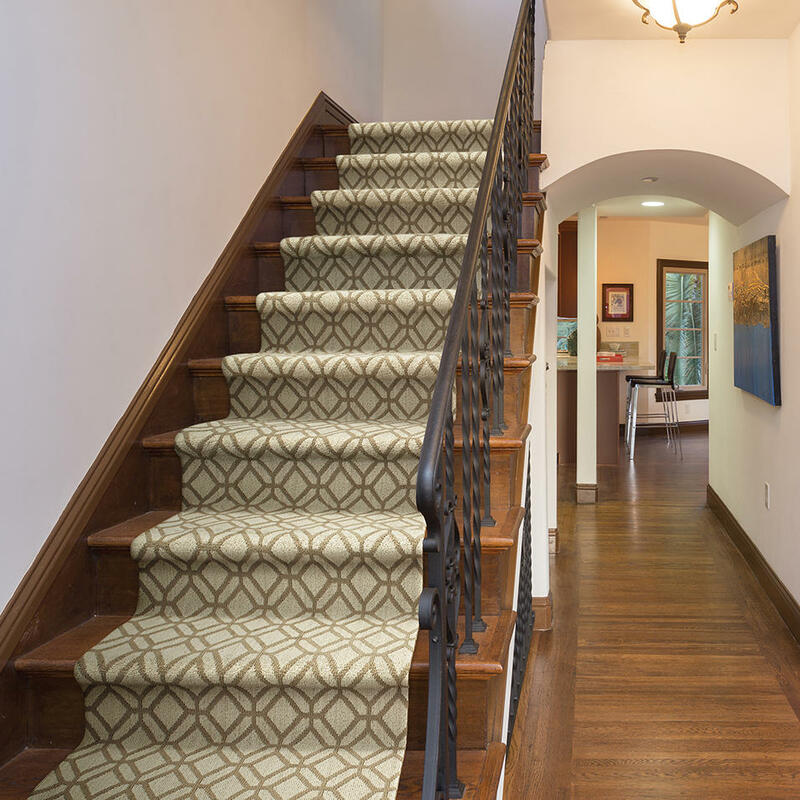 While these descriptions outline basic characteristics of different fibers, how the fiber is processed and fabricated – the construction – is more of a determining factor of a carpet’s performance potential. Carpet may be one of the easiest types of flooring to take care of. Learn how to keep yours looking great over time with a simple care program. No carpet is absolutely stain proof. Some carpets have stain resistant treatments that improve your ability to clean stains, but not prevent them. Similarly, carpets with soil resistant treatments reduce the rate of soiling, but all carpets require regular care and maintenance. Carpet has been the most popular floor covering in America for decades for good reason – carpets feel soft, reduce noise and insulate rooms. But some common misconceptions deter people from buying carpets. MYTH 1: Asthma and allergy sufferers should not have carpet in the home. FACT: Environmental Protection Agency scientists concluded that carpet fibers, in trapping and immobilizing potential allergy-causing particulates, help people with allergies. If allergens are in the carpet, they’re not circulating in the indoor air stream. Shaw Floors recommends using a HEPA-filter vacuum to fully remove such particles from the indoor environment. MYTH 2: Carpet is hard to maintain – it stains and wears out very easily. FACT: Simple steps can extend the life of your carpet and keep it looking new. Frequent vacuuming removes soil particles before they get below the surface of the pile, where they are far more difficult to remove. Carpet in a typical household should be thoroughly cleaned every 12 to 18 months. Hot water extraction systems provide the most effective cleaning. Professional carpet cleaners generally get the best results. MYTH 3: Carpet is outdated and boring. FACT: Carpets come in patterns ranging from traditional hounds tooth to exotic zebra, and in stylish colors like chocolate or mint green. Many consumers use a mix of carpet, hardwood and tile in their homes. MYTH 4: Carpet emits harmful chemicals that cause health problems. FACT: Carpet is one of the lowest emitters of VOCs (volatile organic compounds) among household furnishings and building materials. Shaw carpets meet the industry’s highest VOC standard, the Carpet & Rug Institute’s Green Label Plus program. FACT: Floor manufacturers now provide many eco-friendly options for environmentally-conscious consumers. Shaw carpets made of Anso or EverTouch nylon can be recycled at Shaw’s Evergreen Nylon Recycling Facility, where they are broken down and remade into new carpet fiber. The process helps turn carpet into a renewable product and keeps carpet waste out of landfills. In fact, Shaw has collected 178 million pounds of post-consumer carpet since 2006.